Aquapura Water Products provides various degrees of water testing. 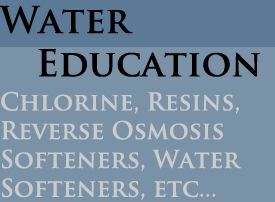 We can test your water free of charge and work with you to determine which system(s) you need to make your water great. Testing can be done at your house/ on site, back at the shop, or sent out to the lab for an in depth analysis. Installing water equipment may not be something that alot of people are comfortable with so when the time comes to installing your water treatment equipment we will be there every step of the way. Aquapura Water Products can save you time and grief by installing your water treatment equipment. Our experienced technicians have the tools and parts in order to get the job done in an efficient, safe and timely matter. We offer residential installations, commercial installations and even industrial water treatment installation. Sometimes water softeners stop working because the water softener exchange resin inside the unit is no longer capable of softening your water. Aquapura Water Products offers a water softener rebed service which can have your water softener working like new again. We extract the old worn down resin and dispose of it accorddingly, then we rebed your water softener with only the highest quality resin like our Carbochem CA-12 10% Crosslinked Resin . We also offer rebed services for Iron filters, carbon filters and other water treatment equipment. The process is similar to that of rebedding a water softener except the resin/ media that will be used to rebed the system is different. For a carbon filter, we could use 14/40 Mesh Granular Activated Carbon. Aquapura offers rebed services for automatic backwashing filters, in and out filters DI filters whether it be ressential, commercial or industrial.